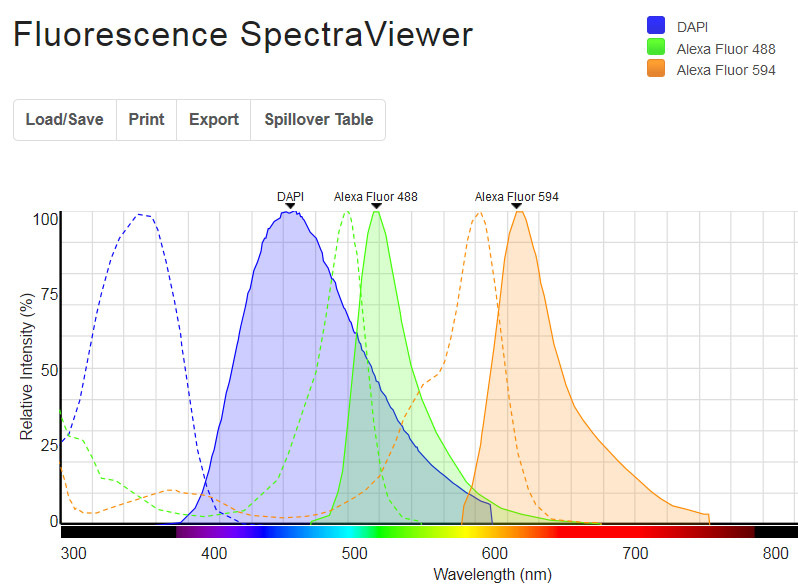 Use these spectral databases to check the behaviour of your fluorescent probe of choice with respect to the laser line, or the bandwidth of the filter block, used to illuminate it, and the bandwidth of the emission filter used to collect the emitted signal into the CCD or PMT. Nightsea summary webapge – if you want more than these three! Drobizhev, M et al (2014) Multiphoton photochemistry of red fluorescent proteins in solution and live cells. Jour. Phys. Chem B. 118/31: 9167-9179. 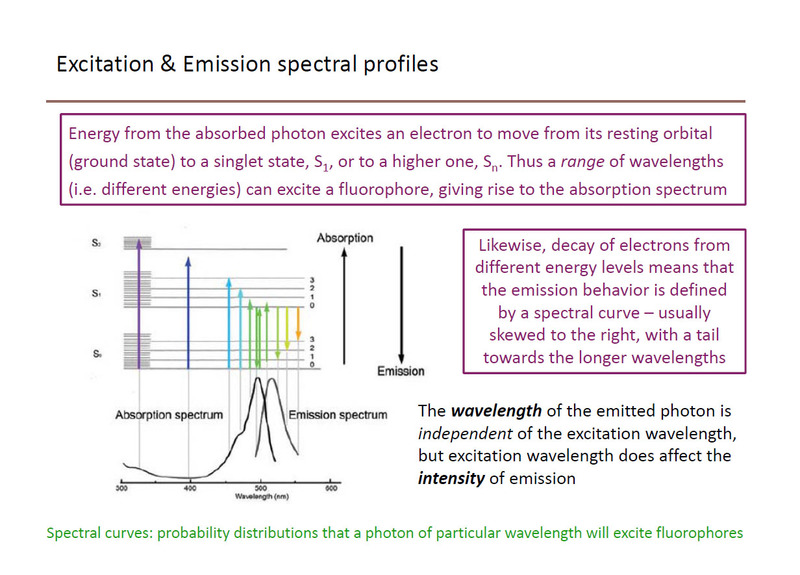 Drobizhev, M et al (2009) Absolute two-photon absorption spectra and two-photon brightness of orange and red fluorescent proteins. Jour. Phys. Chem B. 113/4: 855-859.